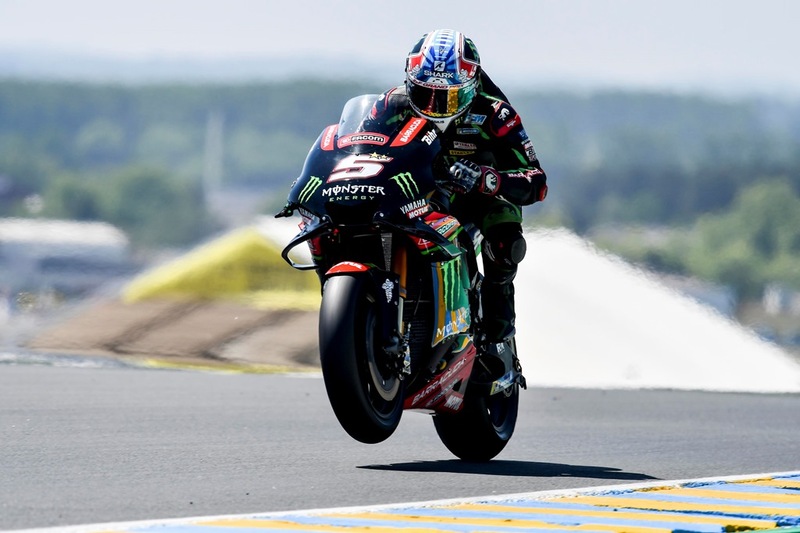 Monster Yamaha Tech3 star Johann Zarco delighted his home fans today in Le Mans with snatching a super pole position ahead of his and the French team’s home Grand Prix tomorrow. 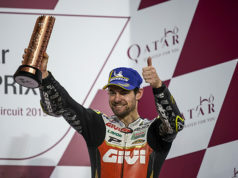 The local hero timed his new pole record at the Bugatti Circuit to perfection, securing the top spot during the last minutes of an awesome exciting qualifying and is, therefore, the first Frenchman at the front of the first row on home soil since Christian Sarron in 1988. “It feels great and it’s very emotional for me. I didn’t expect to have these emotions already during Qualifying here. For sure, I wanted to be fast, but when I saw the 31.185 on the dashboard I was surprised myself. The first run was already quite good, but I felt that the new tyre can deliver even more on the first lap, so I tried it for the second exit and it worked well. The job we did, working with different tyres, is amazing. A huge thank you to the crowd here, because they gave me a lot of positive energy. Let’s see, if this energy is enough to win tomorrow”, Zarco said. Wonder who these guys are here to see? ? 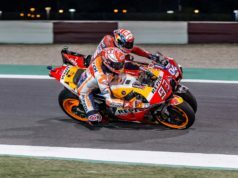 Marc Marquez 1:31.293 was 0.790” faster than the previous circuit-best lap (Lorenzo – 2016) but just a fraction down on the new pole record set by Zarco in front of his home crowd. 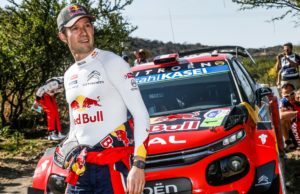 “Qualifying went very well. I expected to be fast but ’31.2 was really fast. Of course, Johann had something extra today and that made him even faster! He deserves this pole. On our side we’re very, very happy because this track is one of the worst for us and, even though we’re still struggling a bit, we’re up there and that’s the important part”, Marquez explained. Danilo Petrucci was third fastest in qualifying. “I’m very happy with this result. Despite yesterday’s fall, the feeling has always been very good. I wasn’t able to qualify directly for Q2 but in FP4s I had very positive feedback. I’m happy and I thank the team for this front row. Tomorrow will be a battle”, he commented.